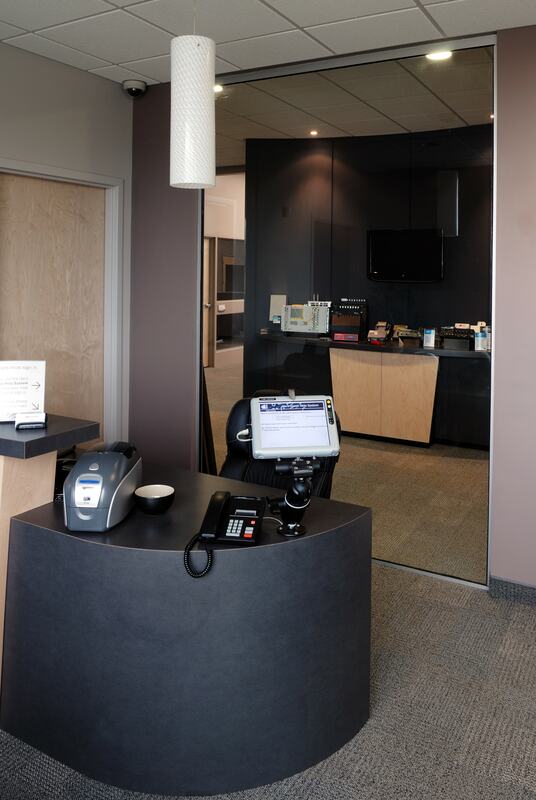 IDERS designs and produces electronic payment transaction systems for CIBC, Canada’s largest chartered bank. These systems set the standard for secure mag stripe and smartcard terminals and pinpads deployed across North America. 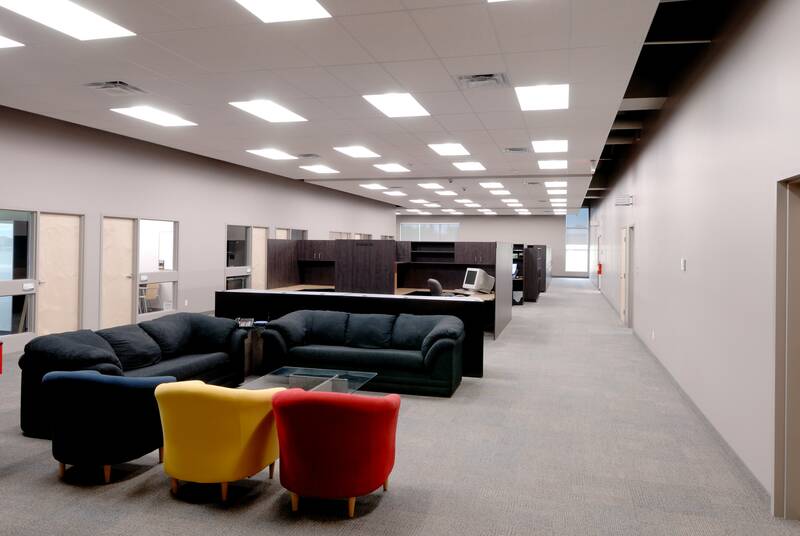 IDERS innovative 18,000 sq.ft state-of-the-art facility is divided into engineering, administrative and production spaces housing a staff of approximately 100 people. 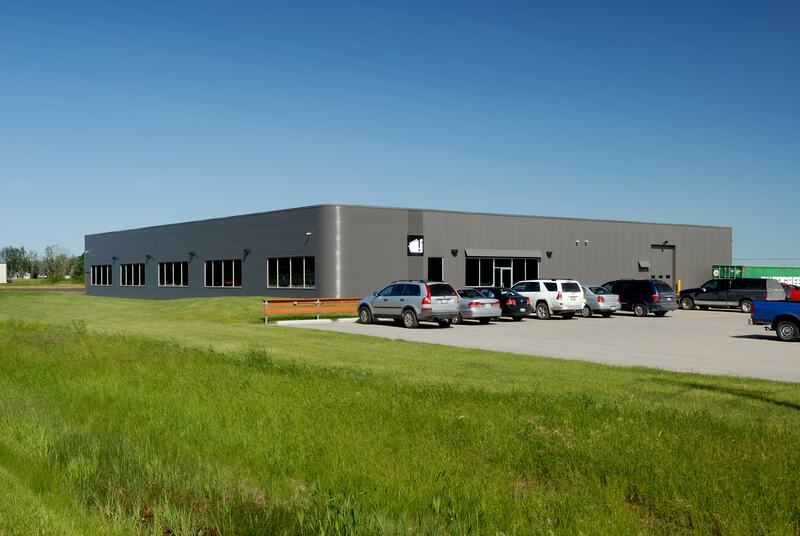 Their commitment to deliver quality products inspired us to design a state-of-the-art facility to meet their corporate and manufacturing needs. 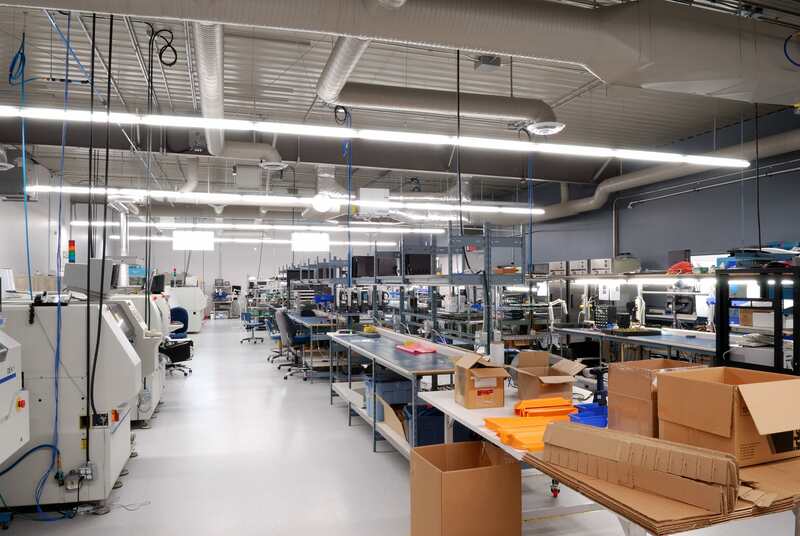 The building is home to very advanced, high performance equipment that required very specific mechanical and electrical systems throughout the building. The advanced geothermal heating system that warms this entire structure is at the forefront of this state-of the art facility. 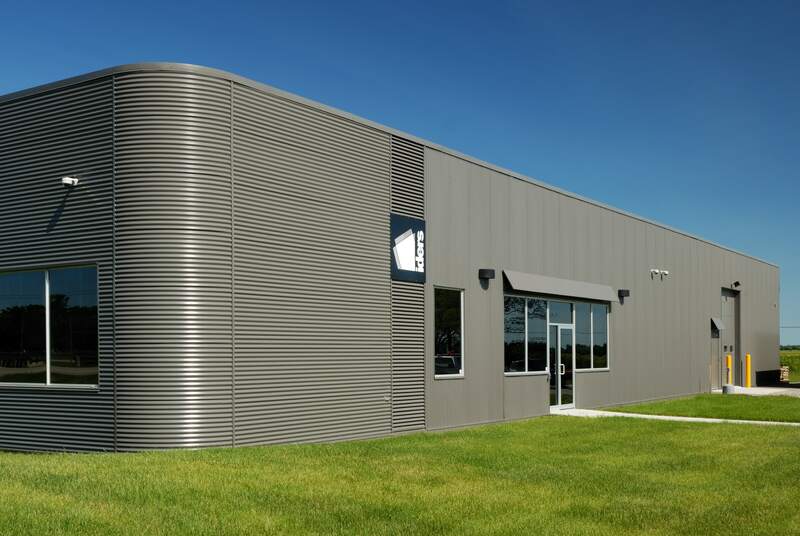 Rounded corners, charcoal grey corrugated metal cladding, combined with horizontal metal panels on the buildings exterior give it a very contemporary look. The interior was designed very systematically to accommodate their specific manufacturing needs. Punches of colour were added through the use of furnishings in the waiting area to continue the modern aesthetic. The engineering and testing lab walls and ceilings were painted white to keep the areas bright and airy. These areas are also completely equipped with everything necessary to run the essential specialized machinery.